Make the move to stress-free accounting. If you’re like most small businesses and startups, you’re always juggling a million tasks. You might not always know where your money is going and you may feel like your business finances are spiraling out of control. Sound familiar? For every hair-pulling, headache-inducing moment you’re spending fretting over the numbers, Balancing Act can help. With our responsive, professional approach to streamlining your business accounting, you’ll go from stressed-out to stress-free in no time. So many area businesses turn to Balancing Act—and you should too. 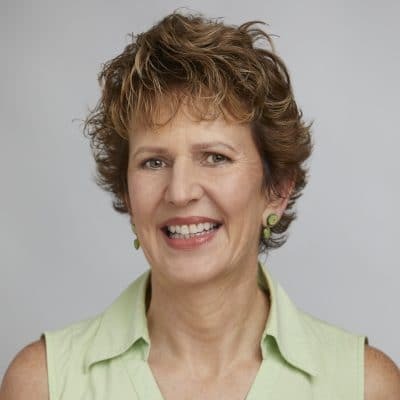 A local QuickBooks guru with a friendly, down-to-earth approach, company president Mary Jo Watson, CPA, has been serving clients in and around Towson, Maryland for decades. Her firm is focused on small business consulting, operational accounting and accounting process development, including Quickbooks implementation and training. Mary Jo ‘gets it’ because she has decades of experience working with people just like you. Whether you’re pretty much doing it all yourself or you have a dedicated financial staff, she’ll apply her legendary hands-on approach to get—and keep—your financial operations up to snuff. Stop juggling & start balancing! We can help. Not only will you save money, you might even come out ahead. Accounting Services – Our small business accounting services cover a range of financial and consulting services, including preparation of financial statements, internal control reviews and optimizing business strategies. We’ll help you keep track of your income and expenses payables and receivables, provide valuable tips on how to reduce spending, and more. Business Consulting CFO – Often an unbiased third party with accounting training and small business experience can see things you’re missing that will make a significant difference in your finances. 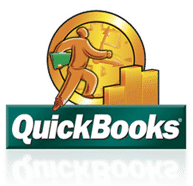 Quickbooks Implementation and Training – Quickbooks can be daunting to learn—but it doesn’t have to be. As a QuickBooks ProAdvisor, we’ll get your system set up properly from the start so it works best for your unique business needs. You’ll enjoy a huge payoff at tax time! Tax Prep – By setting up the financials and bookkeeping and QuickBooks properly, it streamlines your tax preparation, saving you time and money. Get ready for some eye-opening financial insights. Mary Jo prides herself on the highly personalized service she provides, as well as the extra tips she’s able to offer to improve business operations based on the information she discovers working with her clients’ books and accounting systems. By helping her clients run their businesses better and more efficiently, it enhances their profitability (woo hoo!). Mary Jo won’t leave you second-guessing, either. She prefers a hands-on approach and takes the time to explain the processes she creates. She educates clients and clarifies the many “mysteries” of accounting, bookkeeping, tax preparation, QuickBooks and how they all pertain to business in general. A seasoned professional and veritable local gal, Mary Jo has years of experience helping small companies in Towson, Timonium, Cockeysville, Hunt Valley, and surrounding areas in Baltimore County and Baltimore City, as well as having served as the operations manager for her family’s business, Watson’s Fireplace and Patio. Can accounting actually be fun? The answer is ‘yes’ when you turn the reigns over to Balancing Act. It’s fun because it frees you from the stress and laborious tasks so you can focus on your business. The fact that Mary Jo has the expertise to advise you on how to make your business more profitable is just icing on the cake. If you’re tired of dealing with customers, vendors, paying employees, rent and insurance, plus having to keep the books and pull things together a tax time, make it easier on yourself. Stop the juggling act and give Balancing Act a call. Together, we’ll make your business grow! Ready to simplify your financial life? We’re here to help. Give us a call at 410-321-8987 or complete the Request for Services form.